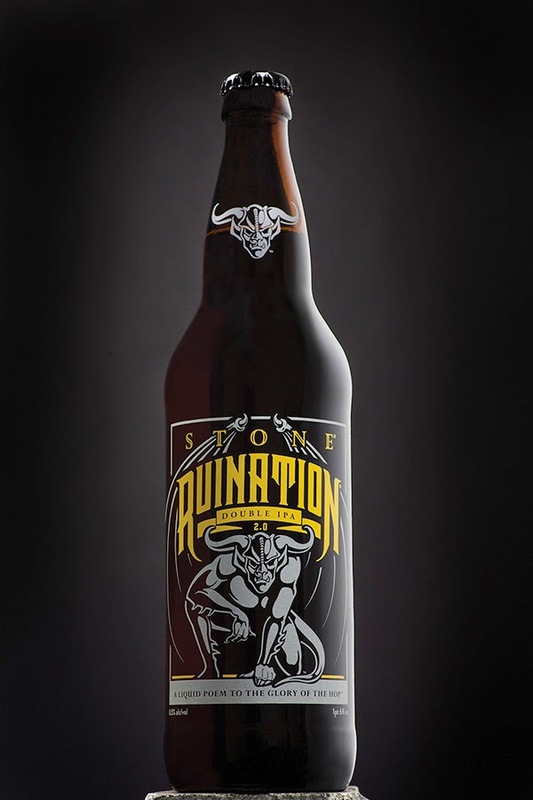 ESCONDIDO, CA (April 20, 2015) – In June 2002, Stone Brewing Co. introduced the world's first full-time brewed and bottled West Coast double IPA, Stone Ruination IPA. Massively hopped and aggressively bitter, it helped spark the ever-growing desire among legions of craft beer fans for over-the-top hop flavors and aromas. Fast-forward 13 years, new brewing techniques and hops exist to spark inspiration. 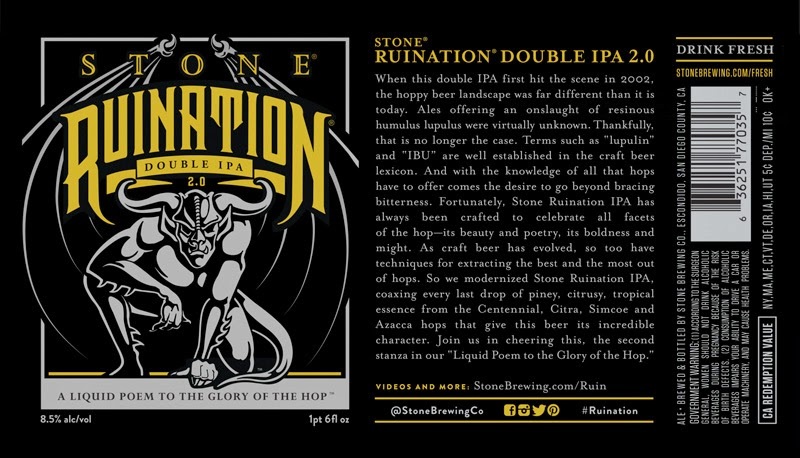 Stone Co-founders Greg Koch and Steve Wagner decided it was time to utilize this new inspiration and reimagine Stone Ruination IPA. 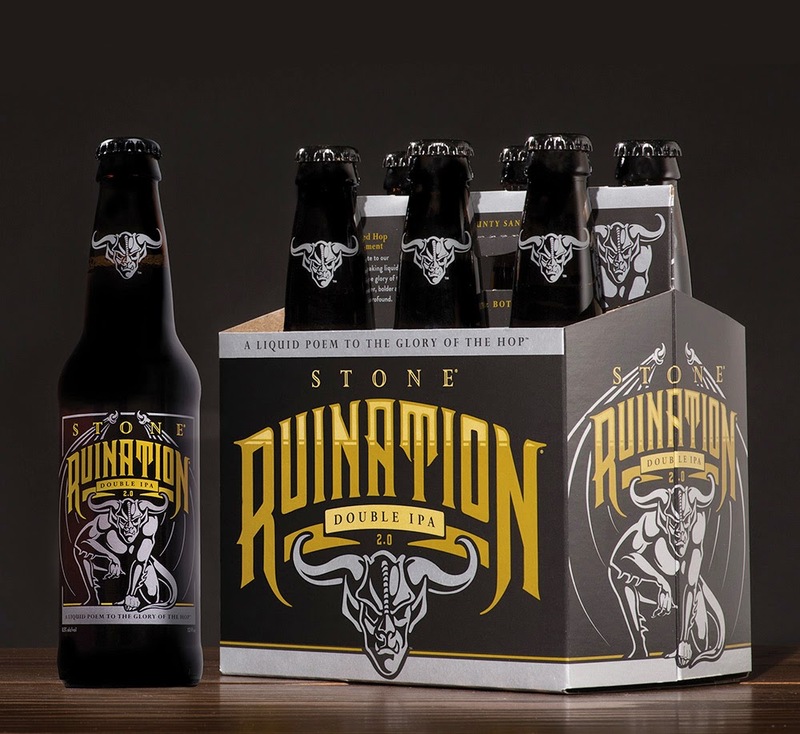 Beginning today, Stone Ruination Double IPA 2.0 will start arriving in 12-ounce six-packs, 22-ounce bottles and on draft at retail outlets, bars and restaurants in markets where Stone beers are sold. Hop growers are always developing new and experimental varietals, and Stone Brewmaster Mitch Steele incorporated some of the brewing team’s favorites while revamping this venerable recipe. Additionally, Steele and company implemented contemporary techniques such as “hop-bursting,” where large late hop additions focus on extracting hop aromas and flavors rather than creating additional bitterness. Hop bursting has proven successful with a number of Stone Brewing's IPA varieties, so it was a no-brainer that this method would be employed along with others (we can’t share everything) for Stone Ruination Double IPA 2.0.